It is awesome when someone comes to a party as a skeleton. Wearing a bony costume, with their face painted as a scary skull. But how do they get their face so perfect? We ask ourselves that all time. We can't figure out how to draw on our faces like they do. We are convinced that they hired a Hollywood make-up artist to do it for them. And that is cheating if you ask us. But they didn't. 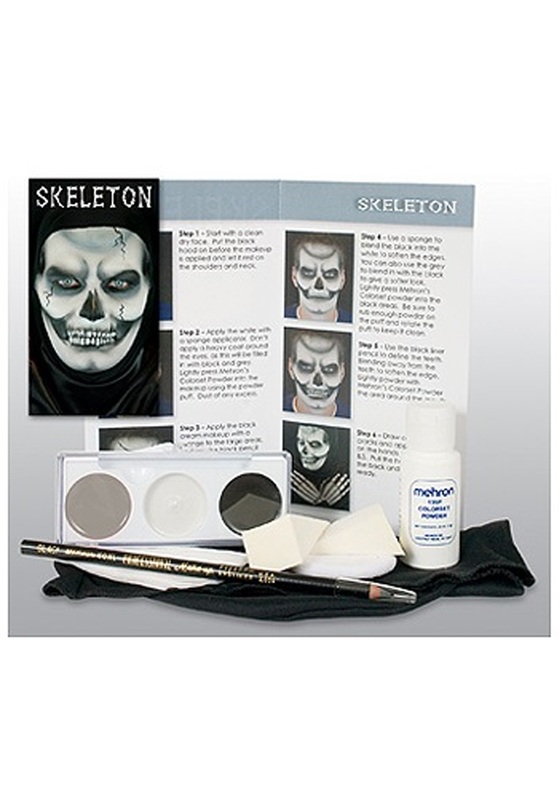 They just got this Skeleton Makeup Kit. It gives you step by step instructions on how to get the perfect spooky skeletal face. People will start asking you who did your Halloween make-up. You'll be able to tell them that you did it. They probably wont believe you, we probably wouldn't believe you. But you can just give us a spooky grin, and tell us how we don't have to believe you.